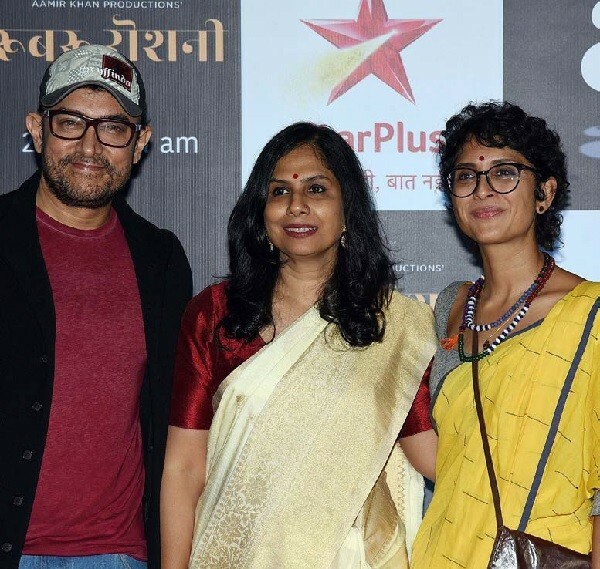 Aamir Khan premiered his latest production venture Rubaru Roshni, on Star Network. with a career spanning over 30 years, delivered a documentary-film revolving around three real- life stories of forgiveness that really pulled on the heartstrings. Helmed by debutante Svati Chakravarti Bhatkal, who has previously worked on Khan’s popular television show Satyamev Jayate, Rubaru Roshni received positive responses and praise from all corners of the world, with some even claiming it to be an experience of a lifetime. for a television release instead of a theatrical or digital one. How did Rubaru Roshni happen and what inspired you to produce it? Why did you decide to release the film on television instead of opting for a traditional theatrical release? Whoever has seen the movie is in love with it. How was your reaction when you saw it for the first time? When I saw the first cut of the film, it impacted me a lot. In our lives, we all hold grudges over a score of trivial issues. We poison our hearts with grudges and hurt ourselves. But in the film, we see that these people have gone through so much in their lives, but they are still able to overcome that. It made me think about myself and all my relationships in my life, which I have been very hard on. So, I found this film to be very introspective. How did you arrive at the decision to premiere Rubaru Roshni on Star Plus? When I saw the film, I decided that I want to show it to the entire country. It was then that I thought to have it released direct on television. 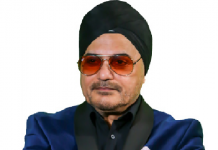 The film has been dubbed in seven languages and we have the entire bouquet of Star Network, not just Star Plus, which showed the Hindi version of the film. Tamil, Telugu and other versions are shown on various regional channels of Star Network, because we wanted it to be seen across the country, you know, to have a deep impact on all of us. How did you decide on the title of the film? Roshni means when you come face to face with light. So, that’s how the title came. Since Rubaru Roshni has garnered such a tremendous response from the audience, would you like to work under Svati’s direction in a full-fledged film in future? fiction, I believe, she will do quite well. Did you ever have a desire to direct the film on your own considering the fact that the stories had a profound impact on you? No, I did not, because when Svati came to me with these stories, I felt it was something which she was dying to tell. I like to support my directors who come with thoughts and stories, which are, you know, very close to their heart and at the same time, I can also feel what they are feeling. Because it was something which came from her heart, I felt she would do it very well and she did do it wonderfully. Is there any plan to convert the docudrama into a full-length feature film? Not now as, I think, we have made it. I hesitate to do the same thing again. If I do something, I don’t redo it. And it’s not a documentary; it’s like a film. Did you provide any creative inputs before or after the making of the film? See, these stories were already there. And they were true stories, so I did not have any contribution in the scripting because there was no scripting as such. But when I saw the first cut, I had some suggestions. Other than that, I didn’t give any inputs. Are you planning to send it to the Oscars? Your hair has changed again, are you preparing it for a role? with the look. It gives you flexibility to play with the character as you can plan what kind of hairstyle you can sport. Which is the next film you are talking about? I don’t know at the moment. I will come to know within a month and I’ll be able to tell you everything then. Have you zeroed in on something? At the moment I have some really interesting stories with me, which I have liked a lot. So, I don’t know exactly which one will be next. But I will know everything within a month. Are you planning to announce the next on your birthday, which is in March? Nothing like that. See, when I want to make something, I will tell you. I don’t want to respond to speculation. Also, when I announce something, I should have answers for you. You would want to know the director’s name, when the film starts rolling, and so on. So, I should first have answers to these questions, only then I can announce something.